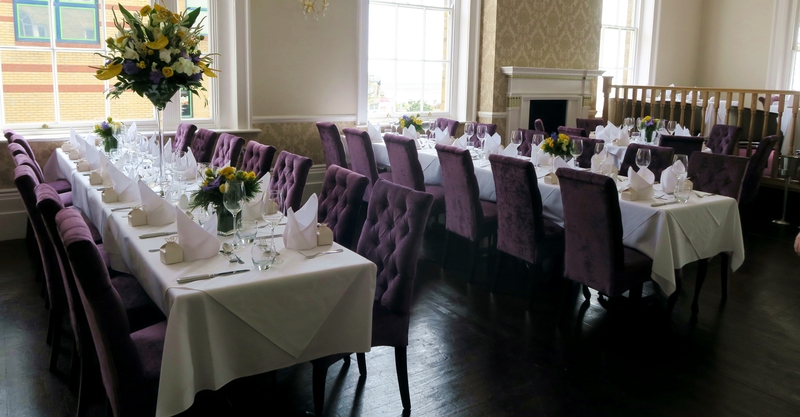 Recently, the lovely Penny organised for a group of #EssexBloggers to head down to The Royal Hotel in Southend-On-Sea to sample their food and drinks menus – and I have one word for the morning – “wow”. Okay… I have a few more words, otherwise this would be a very short blog post. I don’t spend much time in Southend, so I didn’t know much about the restaurant beforehand but I can safely say that it is my new favourite restaurant and cocktail bar in Essex and I will definitely be back regularly! 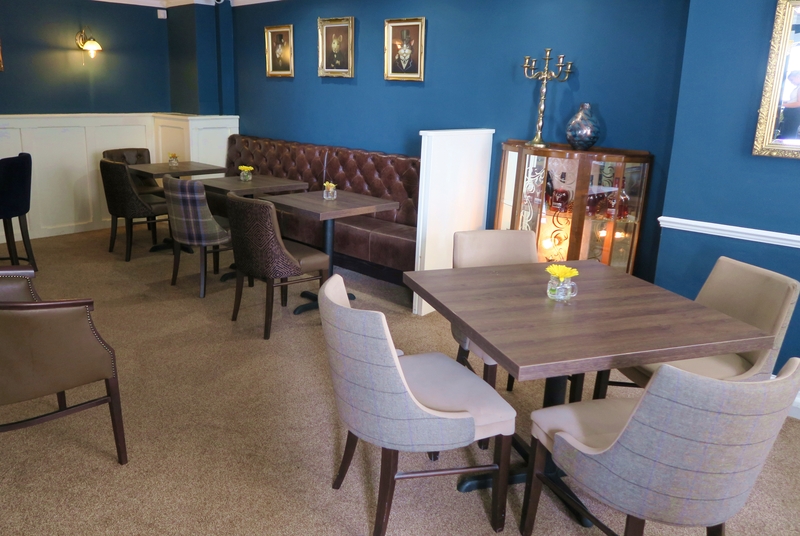 Whilst it is called “The Royal Hotel“, they currently do not have any hotel rooms and it is just a restaurant/bar but do not let that deter you – it’s worth a trip just for the food and drinks! On arrival, we were greeted by the very lovely Matt (who bought the building with his brother a few years ago) and were told a little bit about the gorgeous building. 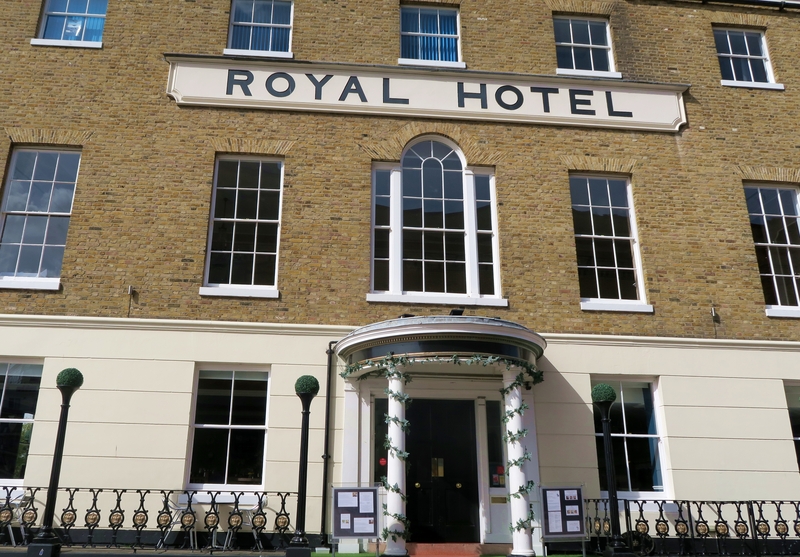 The Royal Hotel is a listed property built in 1971 and was a hot-spot for former royalty and aristocracy including Princess Caroline & Napoleon! Before Matt and co bought the property, it had spiralled into a realm of madness. The beautiful listed building had boarded windows and was used for local “raves”. If you saw the interior now, you would have absolutely no idea as the team have done a really incredible job in turning the place around. Matt’s brother Dave is the resident mixologist and BLIMMIN ‘ELL does he do an incredible job. The cocktail list currently comprises of around 50 different drinks, many of which are created in-house and are completely original! We tried 2 of the cocktails from the main cocktail menu being “The Earl of Grey” and the “Mrs Kensington” – both were absolutely incredible. I wouldn’t normally choose gin over other spirits, but if I will definitely be ordering a “Mrs Kensington” on my return! Dave is also working on a number of new and exciting ideas revolving around molecular mixology (if those big words scare you – think Heston Blumenthal and The Alchemist). As it was the Easter weekend, he was experimenting with creating an egg-like shape which popped when putting your straw through the yolk – as an avid fan of both dippy eggs and cocktails, I very much approved of this idea! And don’t worry, The Royal Hotel is a very short walk from both Southend Central and Southend Victoria train stations, so there’s no need to be the designated driver and miss out on the cocktails! 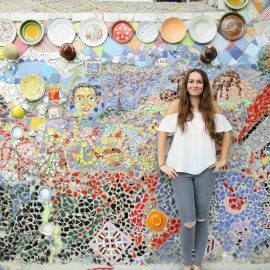 Tapas style “small plates” and tasting platters can also be ordered at the bar – the menu is to die for and I think I could happily surround myself with every one of their small plates! We were seated in the “lounge” area which has a super cosy yet sophisticated feel to it. The website quotes that this area is “perfect for an informal lunch or early dinner in a relaxed setting” and I can agree to that! We were served an array of different tasting platters and all of them were absolutely amazing! Our savoury platters were filled with traditional British finger foods but with a twist – including a scotch egg where the meat had been replaced with fish. I haven’t eaten fish in over 10 years, yet one fish dish looked SO good that I just had to try it – this is a BIG deal and a true testament to how good the food we tried was! 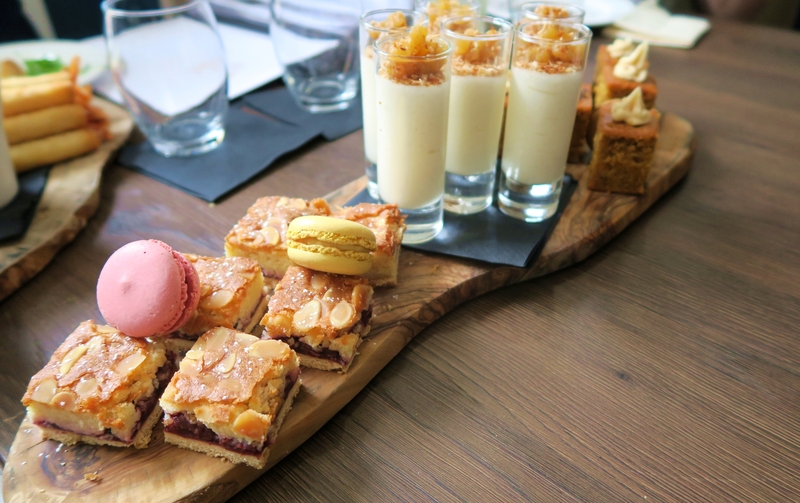 The sweet platter was just as good with the bakewell tart being my absolute favourite – which isn’t a surprise if you know me! We all said that the cakes were on par if not better than top London restaurants which makes me very excited to go back and try the Afternoon Tea that The Royal Hotel offer! The Ballroom is the restaurant’s formal dining area upstairs. As we visited during the day, the room had been booked for a wedding reception and we got to have a sneak peak before the party arrived. It is a really gorgeous room with great views out to the seaside! Afternoon teas are also served in this area and it is the perfect spot for it! You NEED to try this restaurant if you find yourself in Essex (or Southend specifically). Not only are both Matt and Dave really lovely people, they really know how to run a restaurant and you will not be disappointed with either the food or the cocktails! For information on booking and copies of the menus, see here. A big thank you to Penny for organising and also Matt and Dave for their hospitality. A shout out to Donna and Lucy also who were the best company! 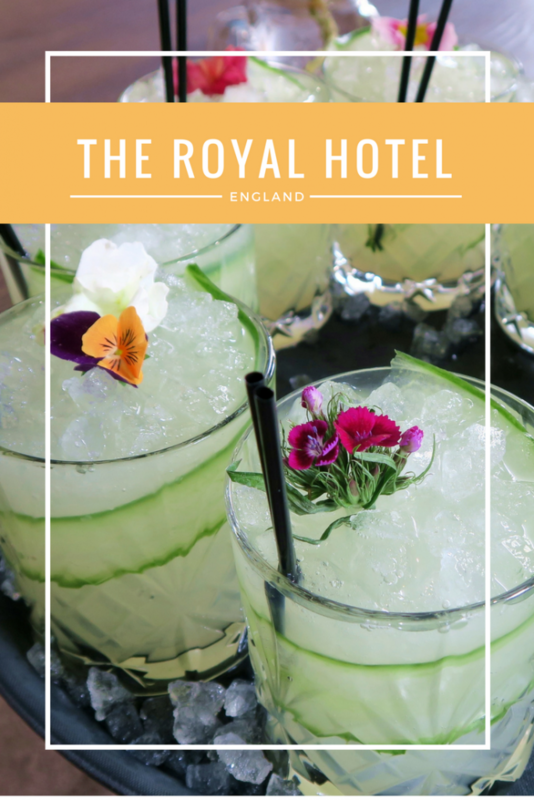 Disclaimer: I was invited to the Royal Hotel as a guest and did not pay for my visit, however this blog post is written of my own accord for no payment and all thoughts are my own! Gutted you couldn't come, it will be so nice to finally meet you! The restaurant was amazing and I 100% recommend it! Oh hey! Lovely to meet you! I don't know of any other travel bloggers in Essex (off the top of my head, I'm sure I'm forgetting about people though oops)! I'd love to meet more! Where abouts in Essex are you from? But there are a hell of a lot of really lovely lifestyle bloggers (including he girls on this post). If you haven't already, I suggest checking out the #essexbloggers tag on Twitter, that's where I've met everyone :-). This rally is a hidden gem in Southend and I fully recommend it! We missed you – I'm sure we will meet soon! The cocktails were AMAZING! 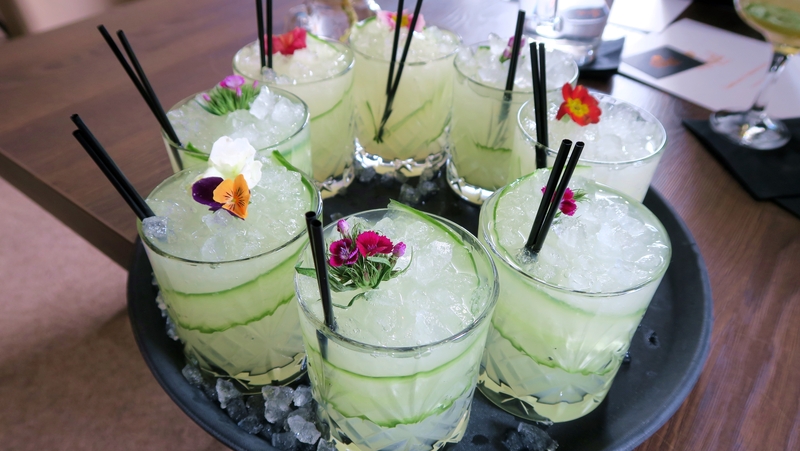 Those cocktails look absolutely amazing and refreshing! Love the flower detail in them!